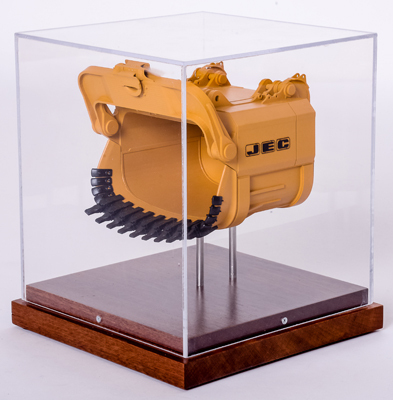 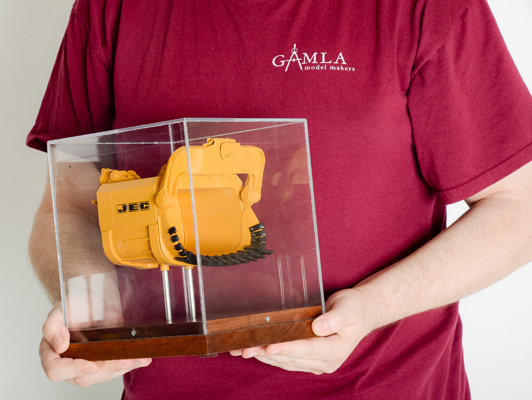 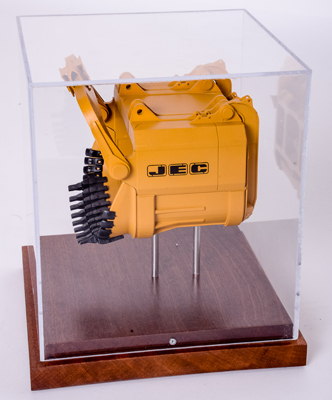 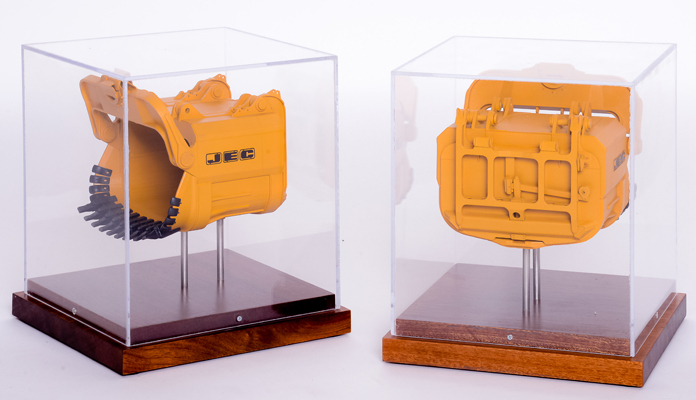 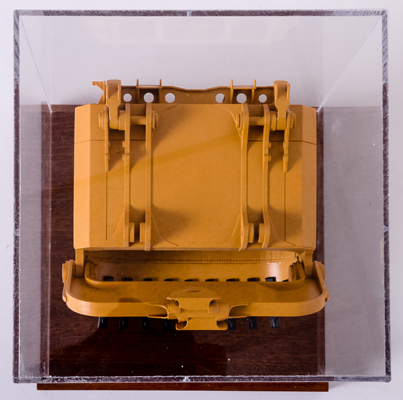 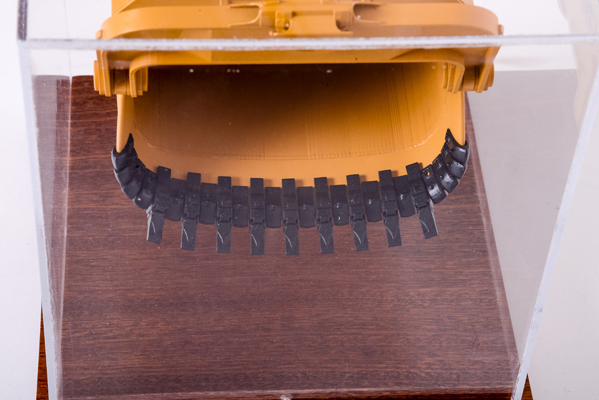 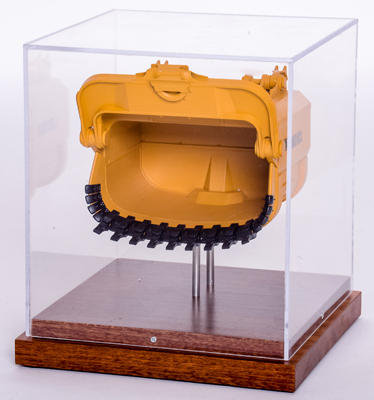 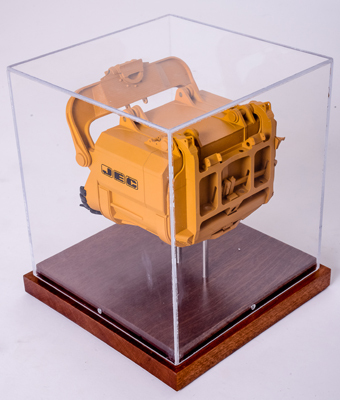 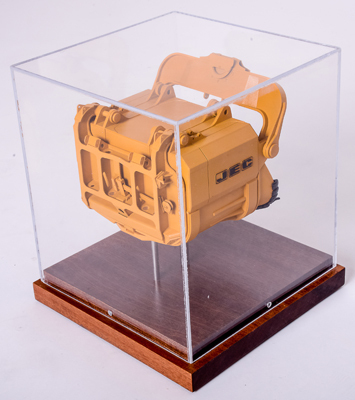 This is a 1:40 scale Executive Desktop Model of a Mining Excavator Bucket. 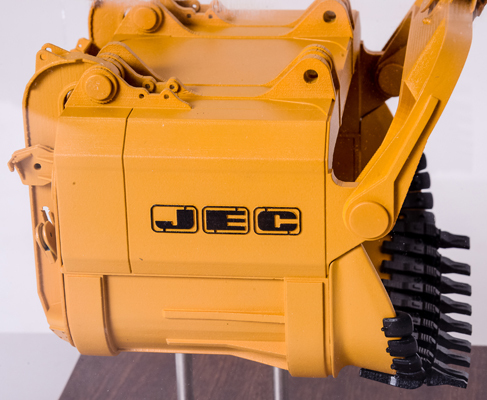 It is 100% rapid prototyped and manually assembled/finished. 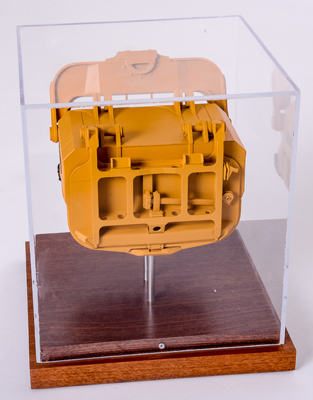 The model is mounted on a solid mahogany base and protected by clear acrylic cover.